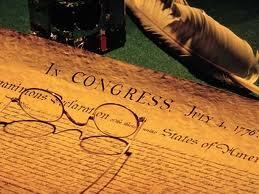 We will take a look at those 56 men who signed the Declaration of Independence. Did they really want to break free from England? And what was the "final straw" that caused them to declare independence? And what about the vow taken by the signors? What did they commit to the cause for freedom? Most important, what did they pay for their commitment and actions? Finally, the story of Nate. Perhaps the single most powerful story of duty and allegiance you will ever find in our American History books.